Two federal judges in California have ruled that it should be up to a jury to decide whether drivers for on-demand ride serves Lyft and Uber should be classified as independent contractors or employees. The reason it matters is because if the drivers are in fact employees, the companies have been misclassifying them, and in term denying them important employment benefits, such as workers’ compensation, unemployment, minimum wage and overtime. They also aren’t reimbursed for gas or car maintenance expenses. Lawsuits filed against both companies in California are pursuing a request to obtain class action status. Both companies have grown exponentially in recent years. But Costa Mesa wage and hour lawyers might argue a big part of that growth has taken place because these firms skirted the rules and didn’t pay workers what was required. The workers say the companies exercised a great deal of control over how they should act, whether they were allowed to work, how they were allowed to work and carrying out the services advertised by the company, for the benefit of the company. Both companies deny this, assert they are a technology company – not a driving company – and argue there is evidence to support the independent contractor status of drivers. What the firms may have in their favor is the degree of control the company exerts over the drivers, whom the ride services claim enjoy a great degree of flexibility. While these may be difficult assertions for plaintiff drivers to overcome, it certainly wasn’t enough to convince either federal judge. Both judges denied separate requests from the companies for summary judgment in the lawsuits. The judge overseeing the Uber case noted the drivers are providing a service to the company, and therefore, should be presumed to be employees. Meanwhile, the judge overseeing the Lyft case wrote that the company does give instructions to drivers on a number of issues. 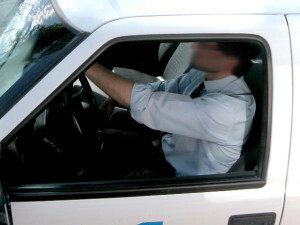 For example, drivers have to clean (vacuum and wash) their vehicles at least once weekly. They have to greet passengers with a smile and a fist-bump. Passengers have their choice of music, and they must be given the option to charge their cell phone. Drivers must also use the route that is offered by GPS, so long as the driver doesn’t have a preference to go some other route. Still, both judges were careful to say that in this case, the employees don’t fit neatly into one category or the other. In other words, there are some ways in which the drivers are employees, and some ways in which they could be considered independent contractors. However, the final decision on the matter is not to be decided as a question of law by the judge, but rather as a question of fact by the jury. That’s why summary judgment was denied in both cases. The lawsuits specifically allege numerous violations of California labor and wage laws. The workers seek unpaid overtime compensation, unpaid reimbursed business expenses, unpaid minimum wage compensation, and compensation for every hour they worked through state-required rest breaks and meal breaks.